We're constantly looking for what's up-and-coming in the exhibition industry so we can provide affordable, creative turnkey solutions to our clients. See what we've been up to! Our product is a finalist! Exponents, Inc. has won a Buyer?s Choice Award for its new Glide? 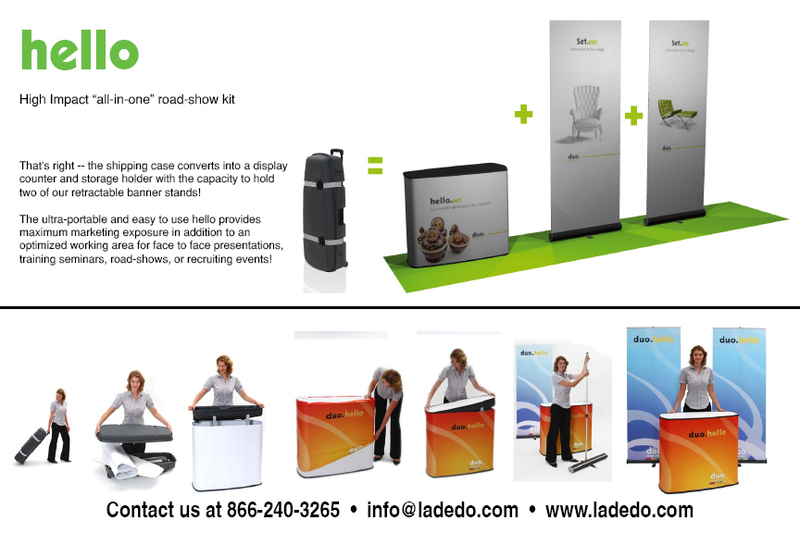 portable exhibit system. The award was presented at the recent EXHIBITOR2009 Conference in Las Vegas. Buyer's Choice Awards recognize the trade show industry's best new products. 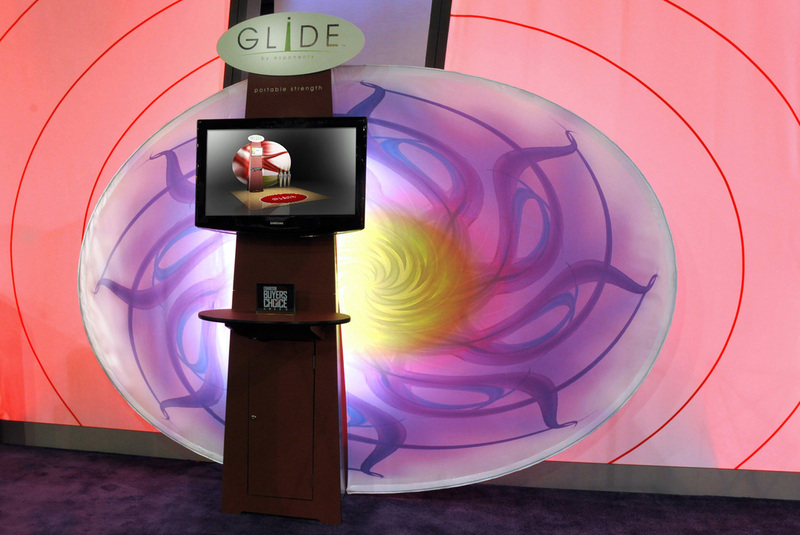 Glide was the only portable exhibit system to be honored at this year's Exhibitor Show. Glide blends true portability with incomparable strength and function. Built around a strong central tower, Glide is designed to present your message in a variety of ways, all with real impact. No other portable can handle a screen this large. You can dramatically cut your messaging costs. Tell your story with easily changeable digital content, instead of having to change printed banner graphics. LUMITURE is the first structural exhibit system that uses internal lighting to create impact and draw attention. LUMITURE exhibits are open, spacious, comfortable and inviting. Create unique presentations, layer graphics, displays and beautiful finishing touches. Memorable environments that are bright and colourful.